A hint of botanical sweetness and violet on the nose. Light, airy and smooth on the tongue, the gin and maraschino are well accented with violet, while the lemon juice takes over at the end with a mild citrus tart finish. This is another classic that is sure to please almost anyone, including those vodka drinkers, who “don’t like” gin. The Aviation has an interesting story of obscurity, somewhat replaced by (in my mind) a completely different tasting variant for many years. Only recently has the cocktail been revived with its original ingredients. Ensslin’s Recipes for Mixed Drinks, was the last American cocktail book published before prohibition. I found that cutting back on the lemon juice and upping the maraschino makes for a much smoother, although sweeter cocktail with a less sour taste. I have found this version appeals to a much broader audience. Some have suggested that the Aviation’s name came from its pale blueish color, which resembles the color of the clear blue sky. First, Creme de Violette was unlikely to be a popular ingredient at the time, yet it gave the Aviation both its unique color and flavor. Prohibition didn’t help the matter and Creme de Violette became unavailable in the US for many decades. Second, the much more famous Savoy Cocktail Book (1930), omitted the Creme de Violette due to a typographic error. This hugely popular book became the way that most bartenders learned to make an Aviation. As you can imagine, without the Violette, the Aviation is more of a gin sour, with maraschino as the sweetener. The taste and unique color of the cocktail is completely lost. 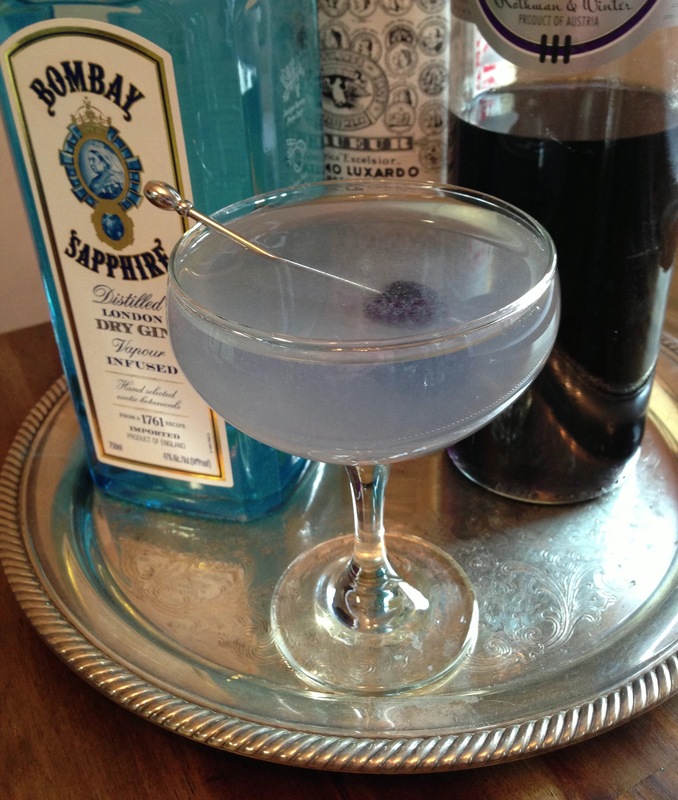 The modern cocktail revival has led to much research into the history of drinks, renewing interest in making the Aviation with Creme de Violette. Since 2007, Rothman and Winter Creme de Violette has been imported to the US, allowing Americans to once again taste (and see) the Aviation the way it was meant to be made. Being one of my favorite cocktails, I have done a good deal of experimenting with the ingredients, ratios and additions. Most of these experiments have failed miserably. I know I said that I prefer the above recipe to the original, but when I make the Aviation, I typically use one more ingredient. 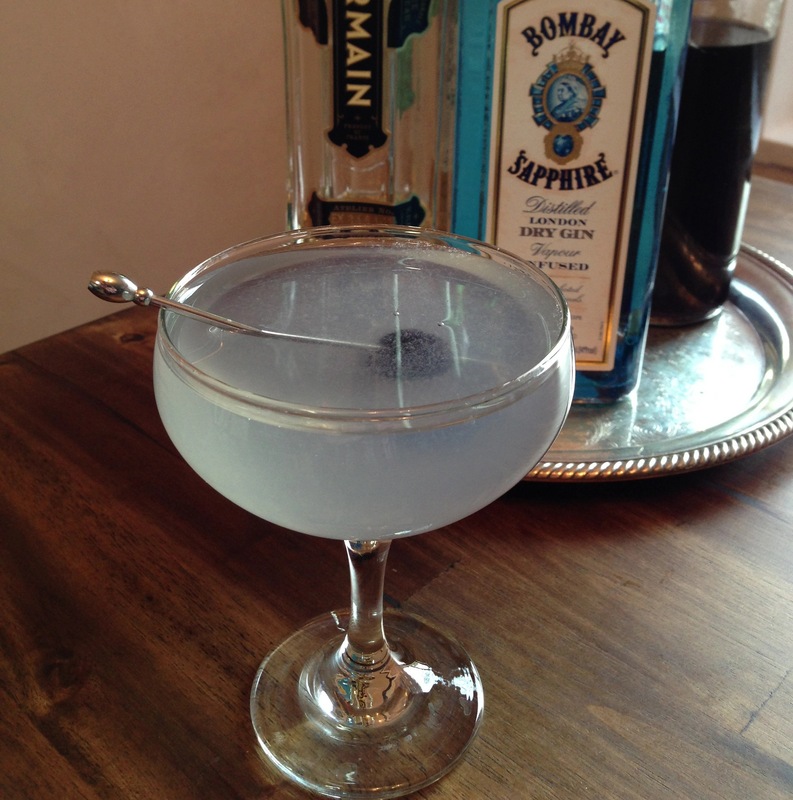 This addition has led to all who have tried it to find this version the “best” Aviation they have had. What’s the mystery ingredient? St. Germain. The elderflower flavor is a great compliment to the violet and adds something magical to the Aviation, so much so that everyone I’ve made it for prefers it to the “real” recipe. Try it sometime and see what you think. Just add .25oz to the ingredients above.